The year is half over. How is it going? Dan Kennedy issues 2 new books on internet marketing. California sales tax rate decreases. California imposes sales tax on online retailers. Federal unemployment tax rate scheduled to fall. 100th episode of Financial Insider Weekly airs. Are there IRS rules for moving funds from brokerage to margin accounts? Visit us on Twitter, Facebook and LinkedIn! Visit Michael Gray, CPA's Blog! 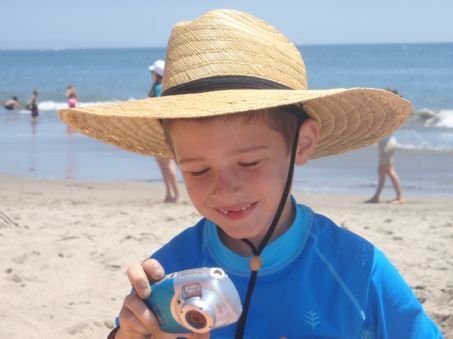 A fun day at the beach during Panchâ€™s â€œGramâ€™s Camp" visit. â€œWe hold these truths to be self-evident, that all men are created equal, that they are endowed by their Creator with certain unalienable rights, that among these are life, liberty and the pursuit of happiness. That to secure these rights, governments are instituted among men, deriving their just powers from the consent of the governed. That whenever any form of government becomes destructive to these ends, it is the right of the people to alter or to abolish it, and to institute new government, laying its foundation on such principles and organizing its powers in such form, as to them shall seem most likely to effect their safety and happiness." Words to remember from â€œsubversive" leaders 235 years ago that we call the Founding Fathers. Jamie Lui is helping our office manager, Dawn Siemer, to catch up with our administrative chores and with â€œSummer Cleaning" of files from storage. 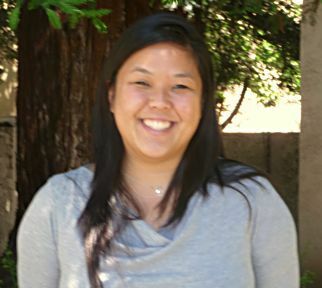 Jamie just graduated last May with a Teaching Credential from San Jose State University and did some substitute teaching while attending her classes at SJSU. She also has a BA degree as a double major in Asian American Studies and Labor Workplace Studies from UCLA. Jamie is now searching for a job as an elementary school teacher. As a pastime, Jamie enjoys playing basketball. She played on her high school basketball team and played intramural basketball at UCLA. She also enjoys traveling and camping. A favorite trip was camping at Lake George at Mammoth Lakes in California. During the camping trip, they saw the lake was being stocked with fish. Then they caught a bunch of fish! Weâ€™re glad to have Jamie with us. Sheâ€™s a great worker. Time marches on! Itâ€™s hard to believe the year is already half over. How is your year going? Are you reaching the goals that you set last January? Do you have developments, such as your companyâ€™s IPO or acquisition for which you need tax advice? Why not set an appointment now for a mid-year planning meeting or telephone conference? Call Dawn Siemer at 408-918-3162 from 9 a.m. to 5 p.m. Pacific Time to make an appointment. During the summer, we are focusing on finishing extended income tax returns. Some of our readers have found errors in or are uncomfortable with tax returns that they prepared using tax software or were prepared by other tax return preparation companies. We can provide a second opinion. Others have received notices for tax audits and sometimes canâ€™t get the help they need from their tax return preparer. We can help with all of these. To make an appointment, call Dawn Siemer Mondays, Wednesdays or Fridays at 408-918-3162 from 9 a.m. to 5:30 p.m.
Dan Kennedy issues two new books on marketing. Dan Kennedy is at the top of my list for information about sales and marketing. Dan has just released two great books that can help you have a better business. The first book is the 4th edition of The Ultimate Sales Letter. You can read my review of previous editions of this book at www.proftiadvisors.com. Itâ€™s a step-by-step guide to how to write a marketing piece. With money being tight and the movement to â€œcheap" promotion on the Web, there is less direct mail to compete with. Dan shows you how to make a compelling and effective marketing piece. This edition includes a bonus chapter, â€œWriting Sales Letters That Can Sell Online," by Rebecca Matter. The second book is No B.S. Price Strategy. Dan has given many presentations about using price as a market positioning tool. People have paid thousands of dollars to hear him speak on this subject. Now you can get the same information for a small investment. Youâ€™d be crazy not to take advantage of the opportunity to study this material by a marketing master. Both of these books are available at Amazon.com and at your local bookstore. A 1% California sales tax rate increase that was enacted to help with government financing during the recession has expired, effective July 1, 2011. In Santa Clara County, the rate is now 8.25% except for the city of Campbell, where the rate is 8.50%. California has passed a state budget which Governor Brown has agreed to sign. One of the revenue raising provisions is to require certain large online retailers to collect California sales tax. In order for the requirement to apply, the retailer must be considered to have an economic presence in the state, called a â€œnexus." California claims retailers have a â€œnexus" when an online retailer has affiliate web sites in the state or have subsidiaries in the state. Amazon and Overstock.com have announced they are severing ties with their marketing affiliates located in California. Amazon will likely litigate the issue of whether having a subsidiary located in California gives the parent a â€œnexus." Whether online retailers located outside a state must collect sales taxes for the state is an issue that will probably be submitted to the U.S. Supreme Court. The standard mileage rate used for business expense deductions when vehicle expenses arenâ€™t itemized has increased from 51Â¢ per mile to 55.5Â¢ per mile, effective July 1, 2011. The mileage rate for medical deductions has also increased from 19Â¢ to 23.5Â¢ per mile. The federal unemployment tax rate (after a 5.4% credit for employers that pay state unemployment taxes on time) that applies to the first $7,000 of wages is scheduled to fall from 0.8% to 0.6% on July 1, 2011. President Obama is trying to get the current rate extended. 100th episode of Financial Insider Weekly is broadcast. Last Wednesday, June 29, the 100th episode of Financial Insider Weekly was broadcast on CreaTV in San Jose and Campbell. Our guest was attorney and retired CPA David Howard of Hoge, Fenton, Jones & Appel, explaining the information reporting requirements for foreign bank and brokerage accounts and foreign trusts. Hooray! Financial Insider Weekly is broadcast in San Jose and Campbell on Wednesdays at 7:00 p.m., Pacific Time. After August 15, 2011, the date and time will change to Fridays at 8:00 p.m. Pacific Time. You can watch it on Comcast channel 15 for San Jose and Campbell. The show is broadcast as streaming video at the same time at www.creatvsj.org. July 6, Karl-Heinz Lachnit, Attorney, Silicon Valley Law Group, â€œChoices of forms for operating a business"
July 13, Jeffrey B. Hare, Attorney, APC, â€œUsing a checkbook LLC to invest IRA and Roth funds"
July 20, James V. Quillinan, Attorney, Hopkins & Carley, â€œTax planning for real estate change of ownership in California"
July 27, James V. Quillinan, Attorney, Hopkins & Carley, â€œEstate planning with temporary changes for 2011 and 2012"
August 3, Michael Desmarais, Attorney, â€œEstate Planning For Second Marriages"
August 10, John Hopkins, Attorney, Hopkins & Carley, â€œSuccession planning for a family business"
August 19 (new day & time! ), Peggy Martin, ChFC, MSFS, CLU, The Family Wealth Consulting Group, â€œSucially Responsible and Sustainable Investing"
August 26, Craig Martin, CFPÂ®, The Family Wealth Consulting Group, â€œAlternative investments besides securities as part of a balanced portfolio"
I have read a number of your posts regarding the tax deductibility of margin interest on my brokerage account. Are there IRS time â€œrules" or guidelines regarding the transfer of funds from a brokerage account (say to buy a house) and then later a subsequent increase of margin to buy qualified taxable investments in the brokerage account? The rules are called â€œthe interest tracing rules" and are outlined at Treasury Regulations Section 1.163-8T. They do not state specifically that they apply to margin accounts, but clearly they relate to any debt arrangements, including lines of credit and refinancings. The rules require that the debt should be allocated to the types of expenditures that they relate to, such as passive activities like rental real estate, investments, and personal expenditures. Interest attributable to personal expenditures is generally nondeductible, except for the $100,000 home equity line exception (that doesnâ€™t apply for the alternative minimum tax). The good news is you can apply principal reduction payments first to the personal expenditure share, which maximizes the interest deduction. You might find it helpful to read Publication 936, â€œHome Mortgage Interest Deduction." If you find tracking this difficult, you might need the help of an accountant. Be aware that allocating interest deductions can really drive up your tax return preparation fees. You will make your life easier by only paying personal items from a separate source of credit from your margin account. â€œIs 2011 your last chance to position yourself for 15% capital gains?"